NOW YOU CAN QUICKLY AND EASILY CREATE YOUR OWN CUSTOM DECALS. 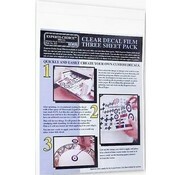 Experts-Choice® Decal Film is available in both clear and white one and three sheet packs. 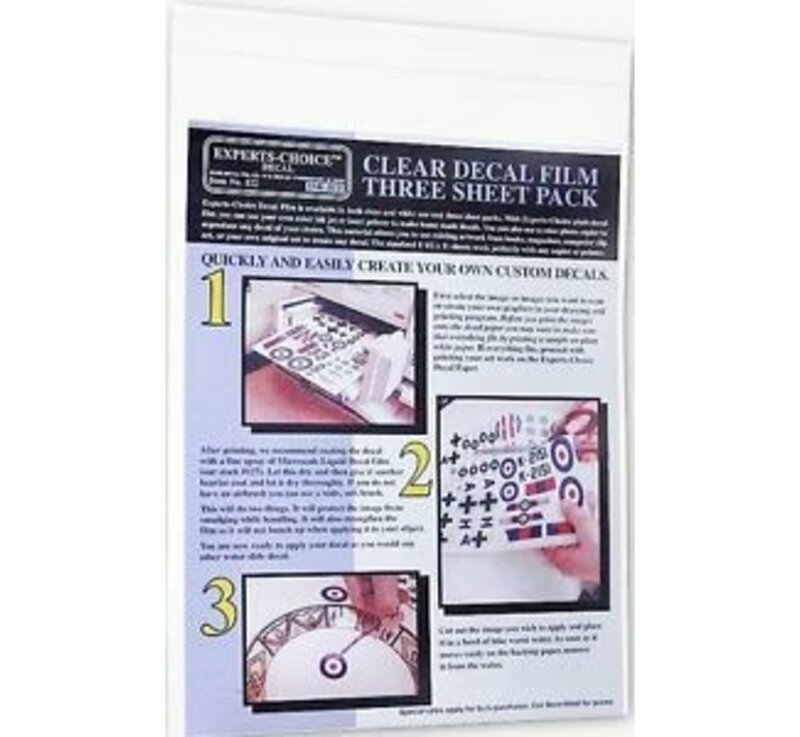 With Experts-Choice™ plain decal film you can use your own color ink jet or laser printer to make home made decals. 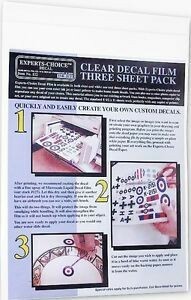 You can also use a color photo copier to reproduce any decal of your choice. 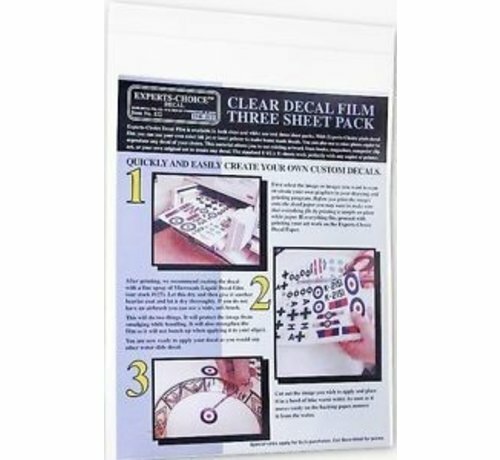 This material allows you to use existing artwork from books, magazines, computer clip art, or your own original art to create any decal. The standard 8 1/2 X 11 sheets work perfectly with any copier or printer.